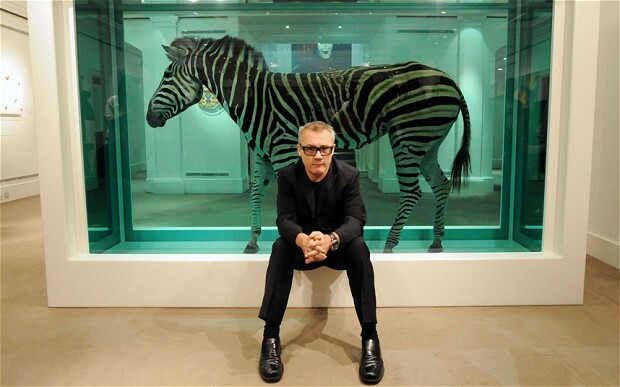 Damien Hirst poses in front of “The Incredible Journey” featuring a Zebra in formaldehyde. Gallery Art’s Damien Hirst Collection Is Here. Previous Post Previous post:New Arrivals!